Some of the more common investments are stocks, bond, mutual funds and CDs. In most cases, these are intangible assets. You simply see them being reported on your financial statements. While investors commonly include some or all of these assets in a strong portfolio, there is also an inclination to purchase tangible or physical assets. In fact, there are several interesting reasons why some investors enjoy investing heavily in physical assets. Regardless of whether you purchase real estate, gold bullion, silver coins or some other type of investment, you may love the fact that you can physically hold and keep the item. Seeing your investments can make them feel more real. They may help you to focus your attention on protecting these assets as well as paying more attention to the ideal times to sell or trade. Stocks, bonds and other intangible assets require no care or maintenance from you. Of course, you will need to monitor their value and pay attention to market conditions. However, you do not have to care for the assets in the same way that you may have to care for a physical asset. For example, the value of gold and silver bullion is directly affected by the pristine condition of the pieces. You generally need to avoid handling the bullion, and your focus should be on protecting the asset from damage. This holds true for any type of physical asset. There are only so many intangible assets that you can buy, and this limits your ability to properly diversify your portfolio. CDs and bonds may be low risk investments that could balance out a portfolio filled with stocks and mutual funds, but this may still mean that some investors have a substantial amount of money invested in each intangible asset. Further diversification is available through tangible assets. 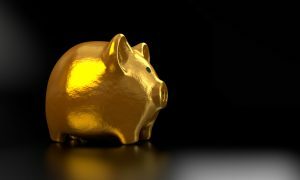 Some tangible assets, such as gold and silver, are well-known as being a hedge against inflation. The overall value of your portfolio can dramatically and negatively be affected by inflation. Finding a way to protect your portfolio against the effects of inflation is essential. Investors should only select assets that they are comfortable with regardless of whether they are tangible or not. Because there are substantial benefits associated with adding tangible assets to your portfolio, it makes sense to educate yourself about the pros, cons and expected returns of these assets as a first step toward further diversifying your portfolio.